Your hearing depends on undisturbed function of all parts of your ear, your acoustic nerve that travels from the ear to the brain and all parts of the acoustic pathways and centers in your brain. The outer ear gathers sounds, sends them through the ear canal to the eardrum. The sound wave then moves the eardrum. Excess wax or infection in your outer ear may result in hearing loss. Your doctor may inspect your outer ear, clean the wax or treat the infection. The middle ear picks up the wave caused by the moving eardrum. It transmits it through the movement of the chain of minute ossicles to the inner ear. Infections in the middle ear and diseases of the ossicle chain may cause hearing loss. There may be a medical or surgical treatment for this type of hearing loss. Otherwise the amplification with hearing aids may be recommended. The inner ear picks up the movement from the middle ear and transmits it through so called cochlea. The endings of your acoustic nerve are embedded here. The most common reason for hearing loss is wearing down of those tiny nerve endings. Your hearing becomes blurred, because some sounds can be read by the nerve, others can’t. The amplification with hearing aids is recommended. The technology will help to clear the message sent to your brain. The acoustic nerve and the upper acoustic pathways are responsible for transmitting of the impulses and delivering them to the brain. If there are obstacles on the way the message may become distorted. Also if the nerve picks up the blurred message from the inner ear it transmits it “as is” to the brain center that is responsible for understanding. 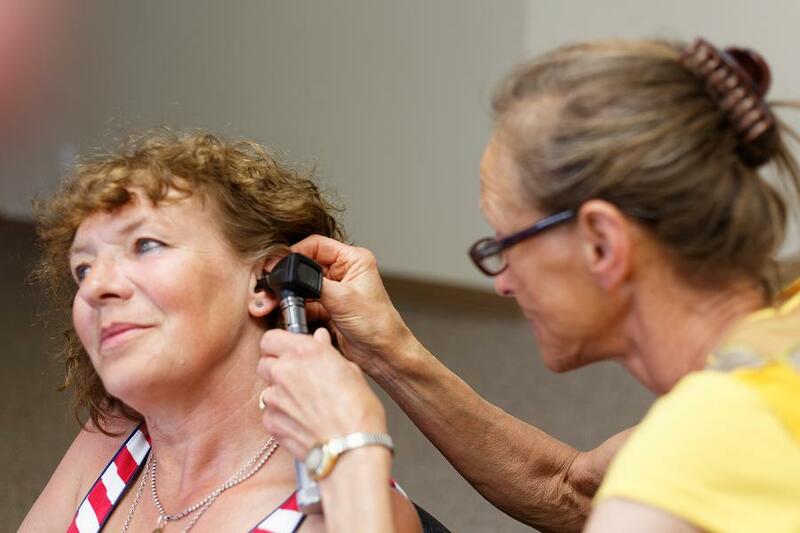 Hearing aids may offer some help.